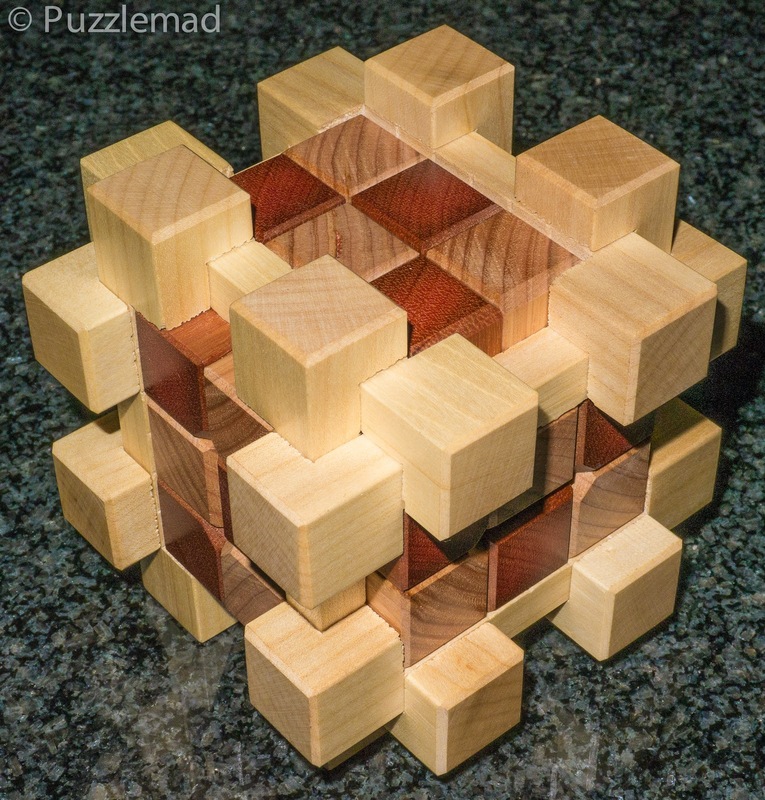 Puzzlemad New Additions: I've got Wood and Mrs S is NOT happy! I've got Wood and Mrs S is NOT happy! Mrs S is a little miffed at me! She has been holding off on a number of shoes and handbag and clothing purchases for a while so what did I do? 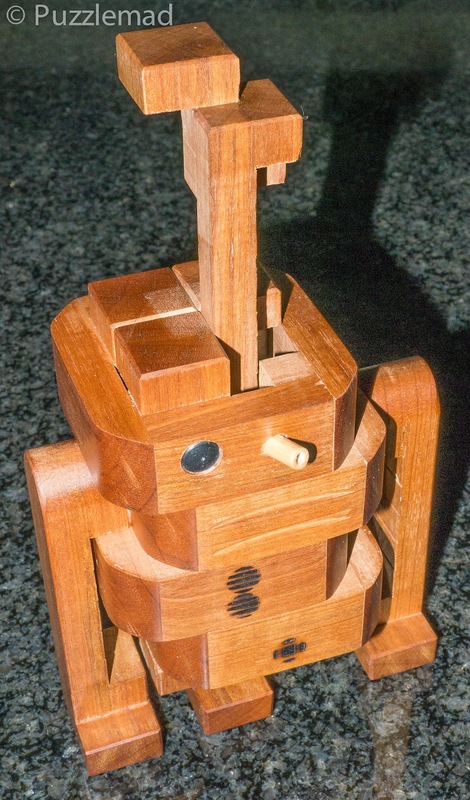 I spent the money on some more irresistible wooden gorgeousness! My first delivery came from the mind and workshop of the absolutely incredible Stephan Baumegger. 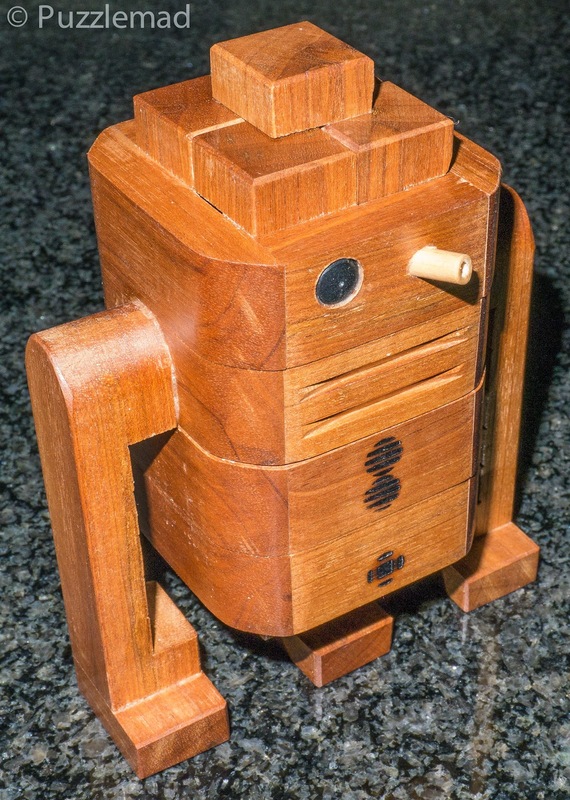 When Droid was shown on Stephan's FB page I could not resist it! He also has an X-wing fighter which I may need to get too in the future! These 2 very different looking burrs share a common feature that makes them irresistible to me! The both have a piece hidden inside - remember how much I loved the Gobi? That one had a man and a camel inside. Well these two have a bulldozer inside and a dragster racing car! I think they will be very tough - I am totally stuck after about 25 moves on Dozer! 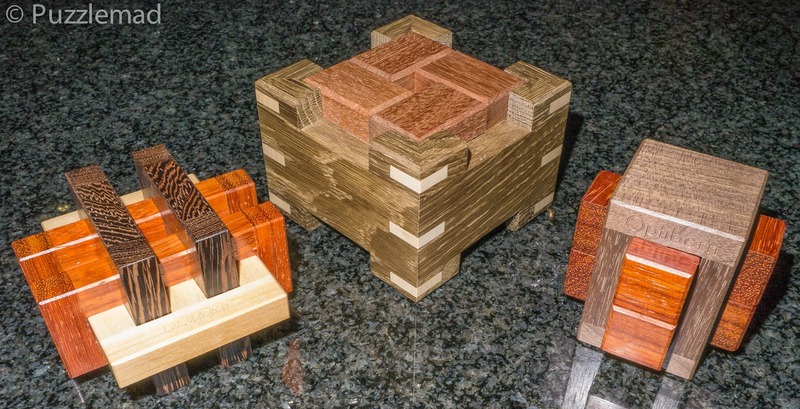 These are "just" variations on a board burr and an 18 piece burr - both are framed and Burrison has a frame which disassembles! Will I ever manage them? I doubt it but they make beautiful ornaments! 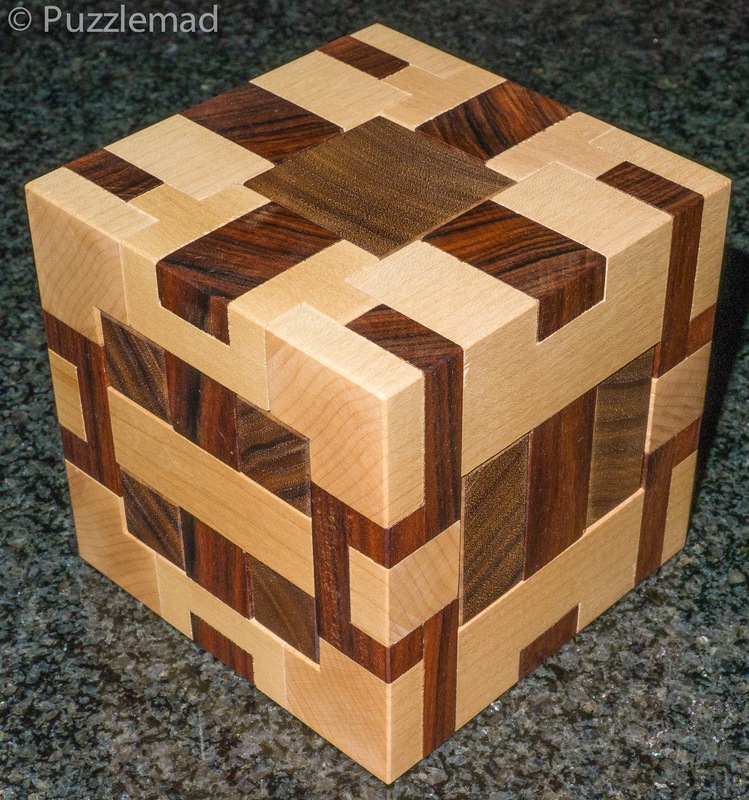 I knew as soon as I saw it and read that Goetz was enjoying it that I had to obtain this huge puzzle designed by C.K.Leung. 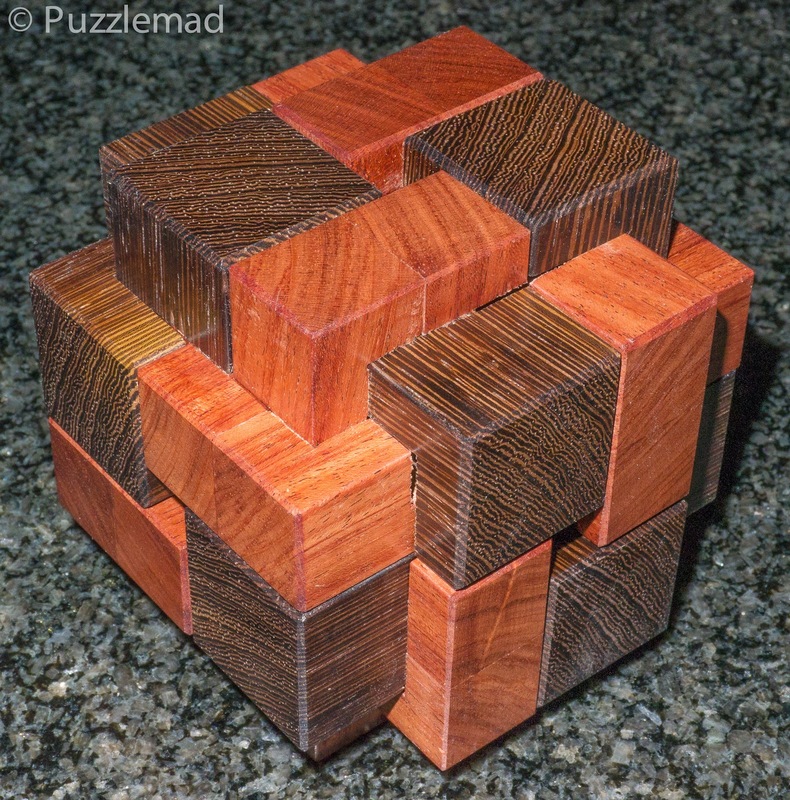 It requires 81 moves to remove the first piece and so is probably too complex for me but JUST LOOK AT IT! Gorgeous! 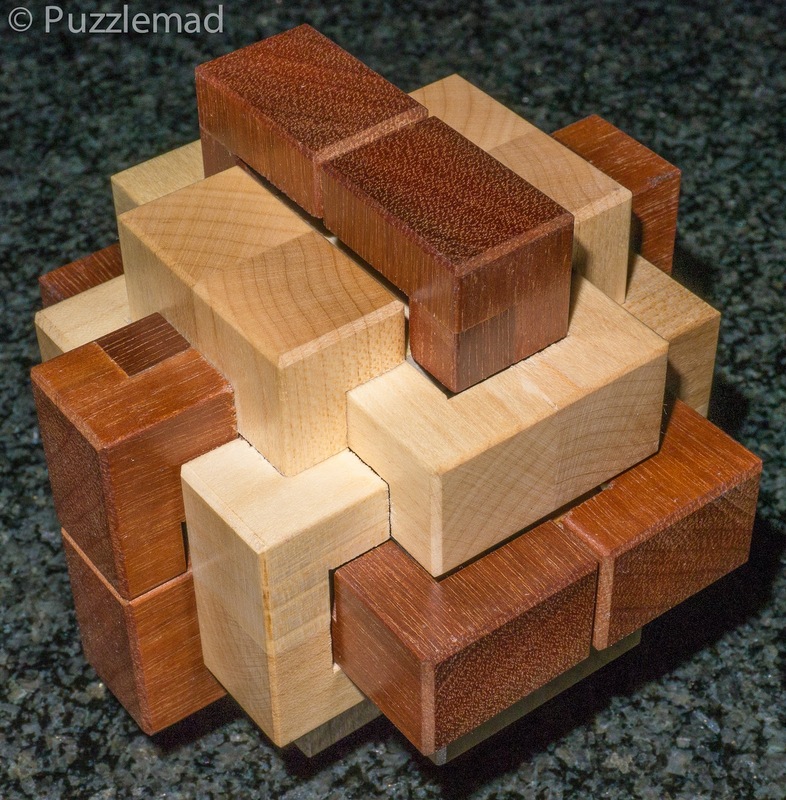 Of course, Jakub and Jaroslav have now completely revamped their Pelikan Puzzles site and you MUST visit! 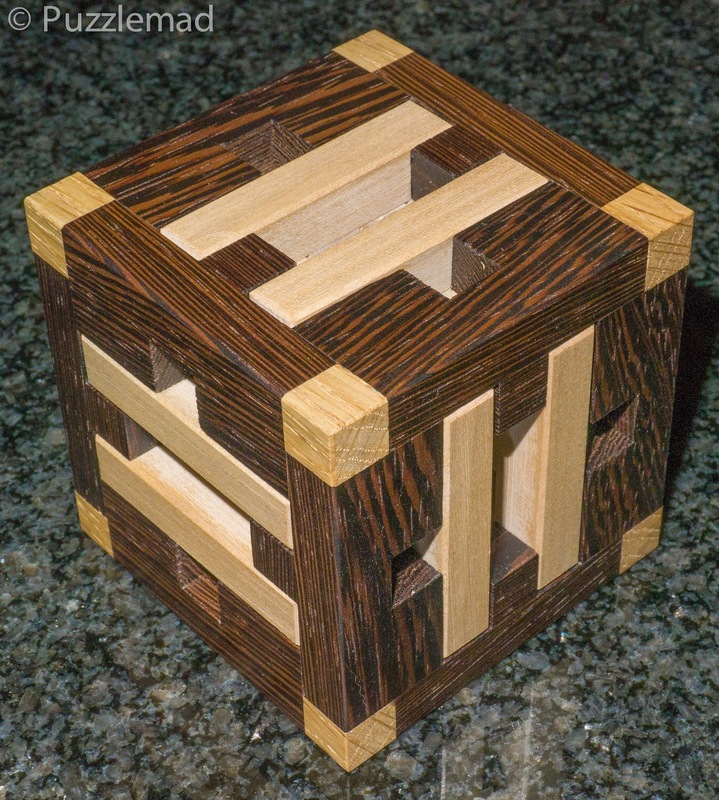 Their workmanship is superb and the selection of puzzles available at great prices is improving all the time. There are 6 there just now and I obtained 3 of them. I will review them soon.